In its corners, streets, gates, bars, squares, boulevards, gardens, parks and cafés, the city maintains some of the focal points of “its” unconscious. These are found and explored everyday by surrealists who obtain the essential experience of surreality in metropolitan life. 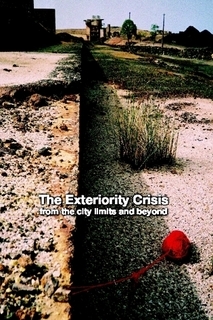 The concrete experience of exteriority (which in the following collective essay we concentrate only on the city limits and beyond them) requires from us a disposition closely akin not only to the sensible renewal of people, but also to existence and its poetic reserves, and to the revitalization of the interior life that is suffering a process of sterilization because of the convulsive technologization of interiority and the progressive forgetting of life outside.